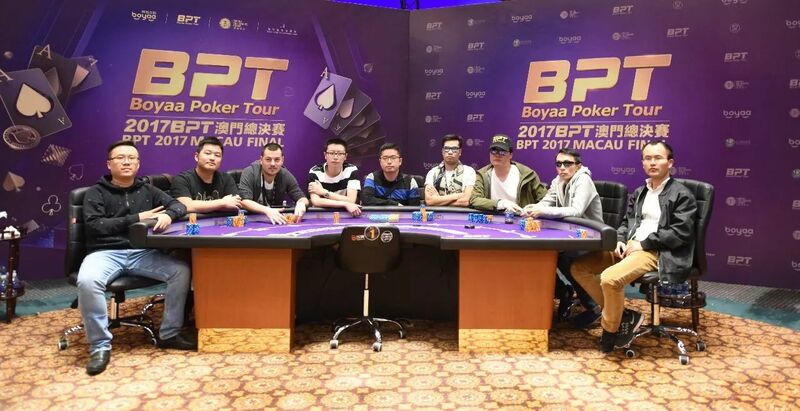 Day 3 of the 2017 Boyaa Poker Tour Macau Final started at 13:00 Beijing time with only 64 players still in contention for the HK$1,274,900 top prize. Late Tuesday evening, a final table of nine was set! The final nine players will compete for the championship on Nov. 1 and all of them will get huge cash rewards. Moreover, the sponsor 57 Society International will give away one card protector based on the Three Kingdoms characters! Taiwan's Hongchang Lin, loyal user of Boyaa Texas Poker since 2010 and a player on the BPT multiple times, became the chip leader with 3,545,000. 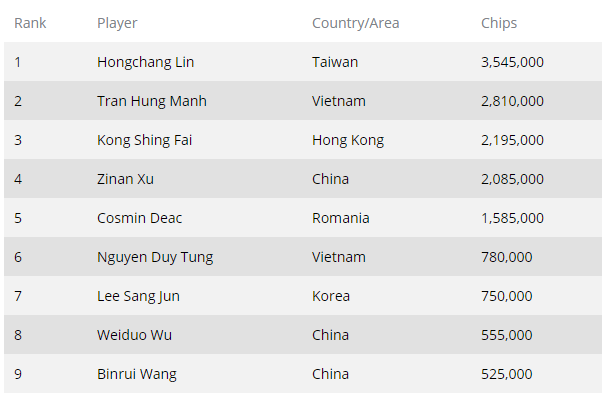 Vietnam's Tran Hung Manh is second in chips with just over 2.8 million. The BPT Worldwide Squad Event, an activity specially created for our online players through an invitation system that puts together the elite of the main five zones, started at 3 p.m. and already completed its final. The main zones are China Mainland, HK-TW-Macau, Thailand, Indonesia, Vietnam and the United Team! After 8 hours of ferocious battle, Vietnam team finally won the championship of BPT Worldwide Squad Event! Congratulations to all the players who qualified for the BPT Macau final table. Who will get the HK$1,274,900 champion prize? The fight to be king is Wednesday! Stay tuned!